Geoff Kinnish spent several years in local government as Council project manager, where he worked with consulting engineer Simon Anderson on many projects. In 2010, Geoff joined Simon in establishing the Sale office of Simon Anderson Consultants, of which he is Director. 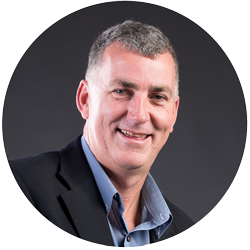 Geoff’s engineering background is in the delivery of capital projects, asset management and infrastructure planning. He has 22 years engineering experience covering: municipal design, traffic management, subdivision development, waste management, project management & delivery, contract management, drainage design and delivery.